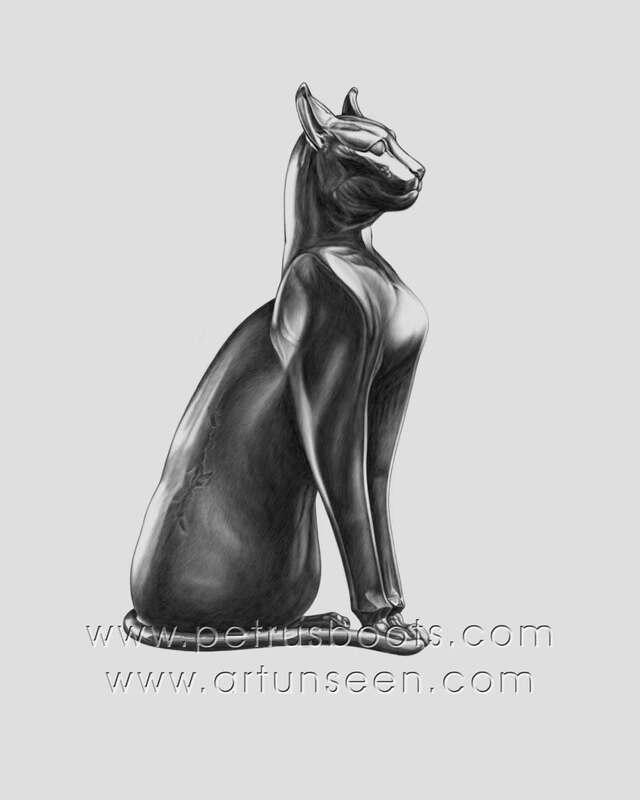 "Bast" or the Egyptian Cat emerged out of accident and experiment. It's the first time I have ever drawn something solely in the digital realm and it's kind of strange not to have something physical to show for my efforts. That being what it is, it was gratifying to see it emerge on the screen one stroke at a time much like any other form of sketching or drawing. 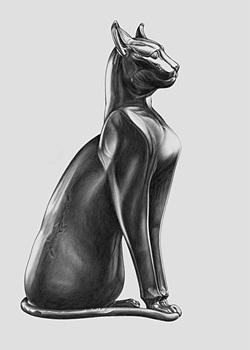 This particular image was created through Adobe using a tablet and pen on a P.C. Drawn by hand no filters or effects of any kind (with exception for sharpening filter in reducing web images) were used to enhance the image.